Editor’s Note: Prominent SBG enthusiast Fred “XMan” Stevens unexpectedly passed away on Feb. 16, 2011. He is profoundly missed. The following type of blog entry is part of a periodic SBG series called “From the XMan Chronicles” that will recount tales involving the XMan. 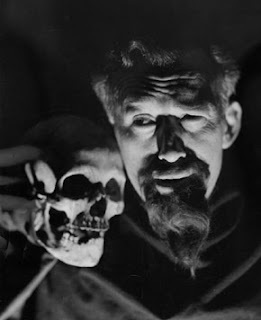 As a child of Cleveland, I have heard many tales of Ghoulardi. He was the host of a Friday night show called "Shock Theater" that aired locally from 1963 to 1966. Ghoulardi made his mark in Cleveland, big time. Clevelanders of a certain era all know him, and Drew Carey even wore T-shirts of him on his show. Apparently, Ghoulardi was extremely irreverent, candid and often made fun of Parma, Ohio. If Cleveland is the armpit of America, Parma is what Clevelanders make fun of. But here is where this Snooze Button Generation masterpiece takes a turn. You see, both Anne and Fred Stevens knew Ghoulardi very well. 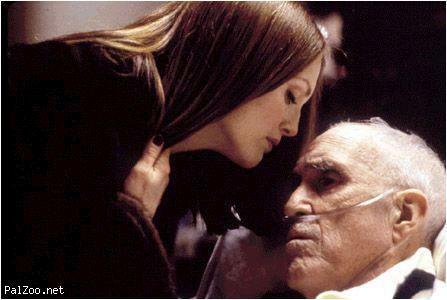 So much so, that they both knew that he was the father of Paul Thomas Anderson, the popular film director of "Boogie Nights," "Magnolia" and "There Will Be Blood." Obviously, PT Anderson peaked with "Boogie Nights" and "Magnolia" and will never again achieve the cinematic effect he did with those glorious films. I don't mean to put his other work down, but those two movies are awesome. He is quite an accomplished director. He is only three years older than me, and he directed those films while I was concluding graduate school in New York and was starting to work at the obscure Long Beach Press-Telegram. Anyway, I rarely see movies in the theater. But in 1999, I did see "Magnolia" with the XMan and my mom at Marina Pacifica in Long Beach, Calif. I cannot exactly put into words our movie reviews. Obviously, we thought the Tom Cruise character was exceptional. Overall, we liked the film. My mom knew in advance that the Jason Robards character was based on Ghoulardi, who died in 1997 of cancer. PT Anderson watched his dad, Ghoulardi, wither away from cancer and then die. I never saw that happen to the XMan. Perhaps all death situations are different, but strangely, I feel some sort of affinity, or connection, to PT Anderson and Ghoulardi and me and the XMan. The XMan and I also were cool enough in 1999 to realize that a singalong to Aimee Mann's "Wise Up" was totally appropriate and good. Good God, "Wise Up" is a heartfelt, beautiful song. The beginning lyrics are totally applicable to mourning and life: "It's not what you thought when you first began it. You got what you want. Now you can hardly stand it, though, by now, you know, it's not going to stop." He also had an affinity for Superhost. Aah, thanks for the Superhost links. As a child, he seemed normal to me. Now, I'm thinking, "Wow, that's creepy!" reading these posts always make me laugh, but they make me sad too. i miss the man. i vividly recall those visits to the Signal Hill apartment..and his likely horror at the thought of his son living there - yet he always remained gracious and gregarious. dodger games. late-night poker tournaments. dinners and drinks. the best.